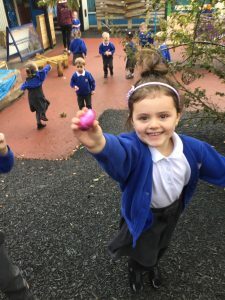 We’re going on an egg hunt! 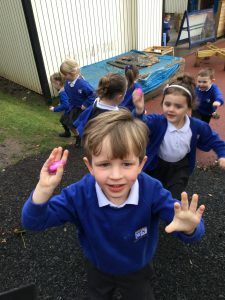 This week we have been learning about the Easter Story and why we eat Easter eggs at Easter. 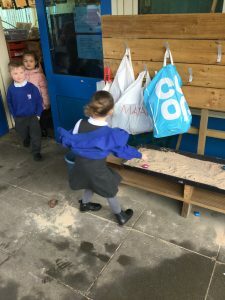 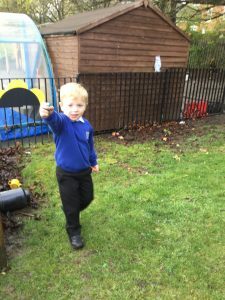 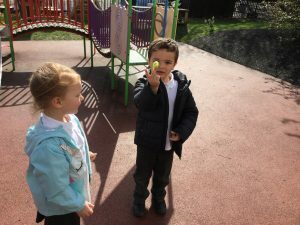 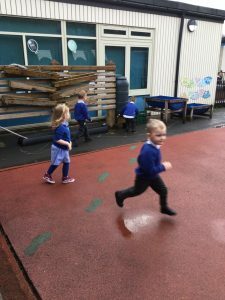 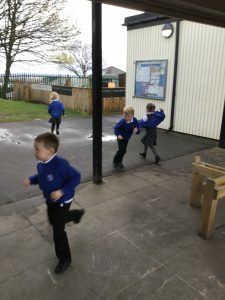 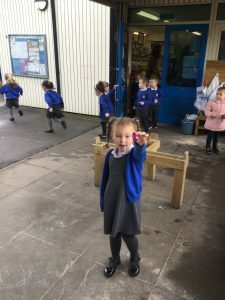 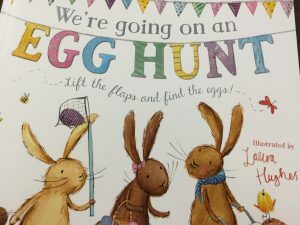 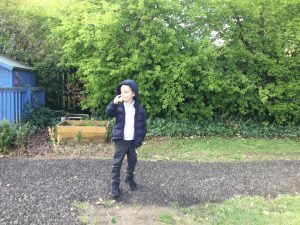 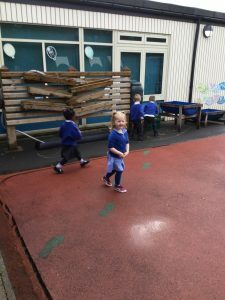 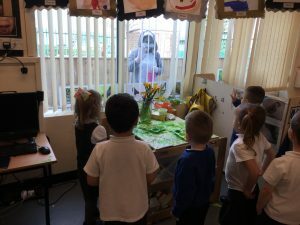 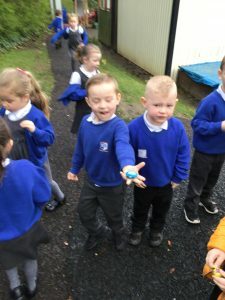 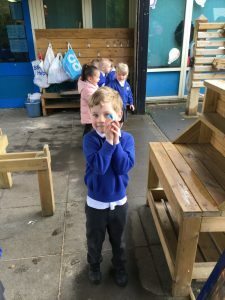 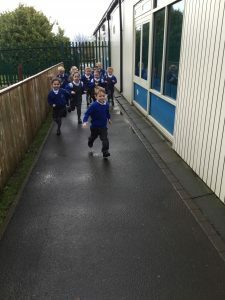 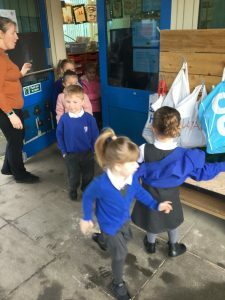 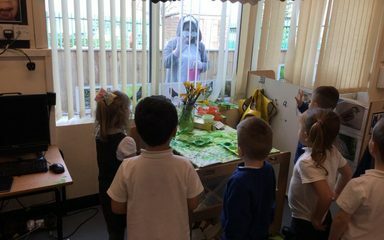 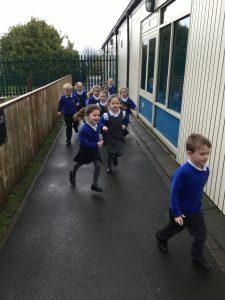 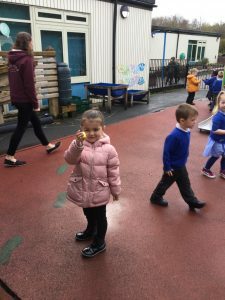 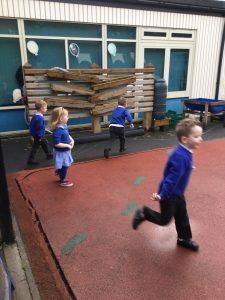 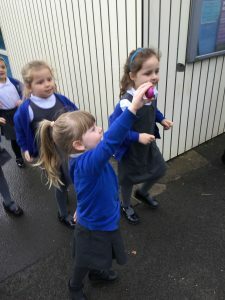 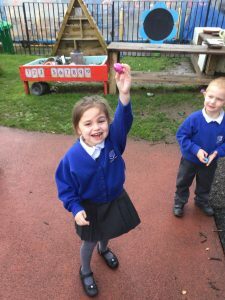 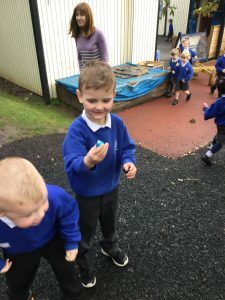 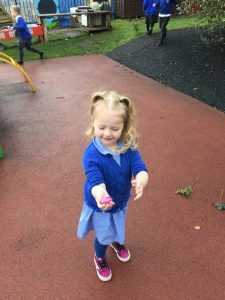 Today, we read the story, ‘We’re going on an egg hunt’ and just as we finished it we heard a knock on our window… which turned out to be the Easter Bunny! 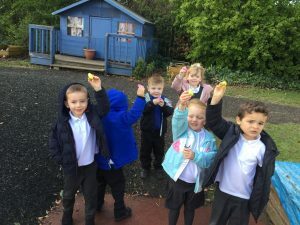 The Easter Bunny had been really busy indeed and had hidden some chocolate eggs in out nursery garden! 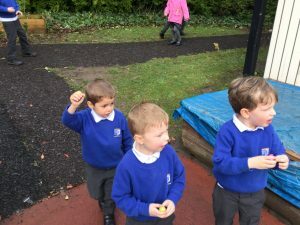 It didn’t take us long to find them and eat them! 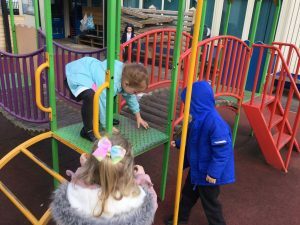 Article 31: You have the right to play and rest.